Check out more amazing foyers on my Pinterest. Wow! I wish my entryway looked this amazing! So inspiring! The last one is so sharp with such a gorgeous polish look - I am a sucker for grey walls! The last one is perfect for me! All fabulous but the first one is my fave! Marc and Melissa (Pal+Smith) are best friends with my brother and sister-in-law in Newport Beach. Their home is to pretty spectacular too-we visited at Marc and Melissa's house last year on a trip down. Love the post!! Oh wow these are all so gorgeous! 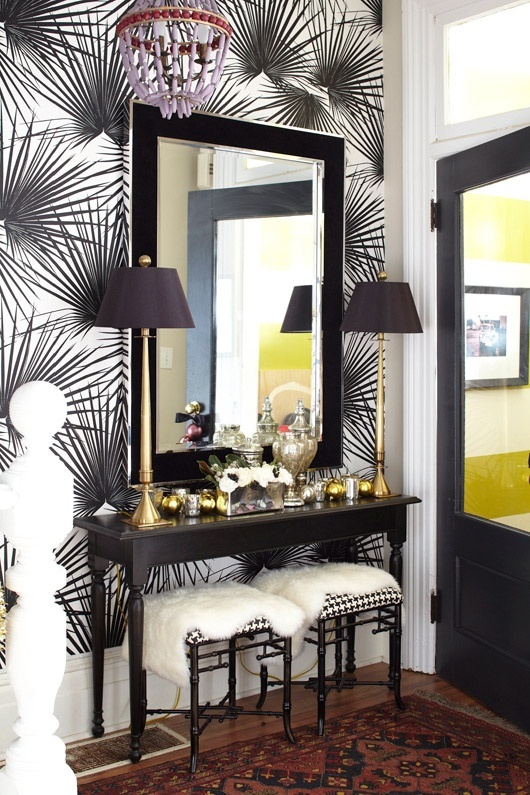 Such creative entryways! While it's certainly hard to choose a favorite among all these beautiful entry ways, I have to admit that I favor the last one. Thanks for these amazing & inspiring images.....I love beautiful foyers!! These are gorgeous interior designs. Thanks for stopping by my blog this morning. I have enjoyed looking through yours as well. I'm your newest follower. That pink and gold wallpaper is to die for! Thanks for sharing such great inspiration! 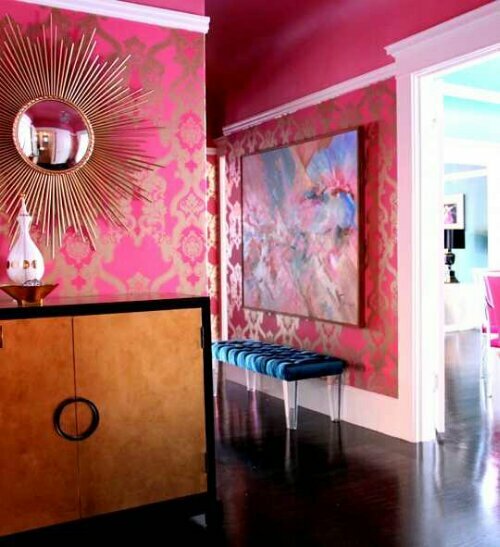 That pink wall paper is beyond gorgeous--I want it for my entryway ASAP! 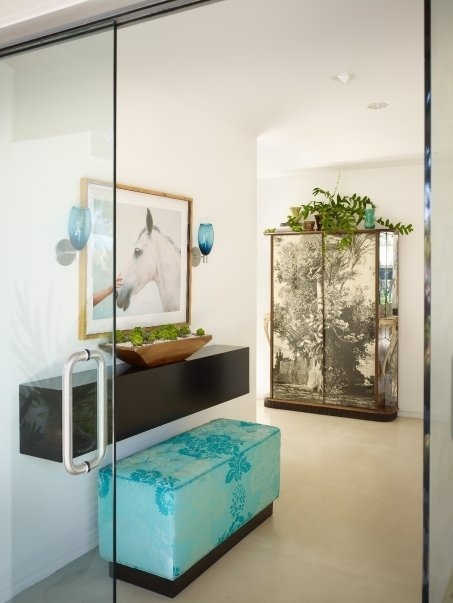 A statement making entrance sets the tone for the whole house...such great statement makers here!! The statement of turquoise and black is so retro yet upstyle today! Love love! The first picture with the horse is my fave. It's so unexpected! I adore the last photo. I love the contemporary style of it. Thanks for sharing. Love these! The first one is my fave! In love with this post, the first photo is so fabulous! (pinned it) Thanks for posting! Love this! Foyers are such an important part of your home since it's the first thing guests see upon arrival! Such pretty ideas.